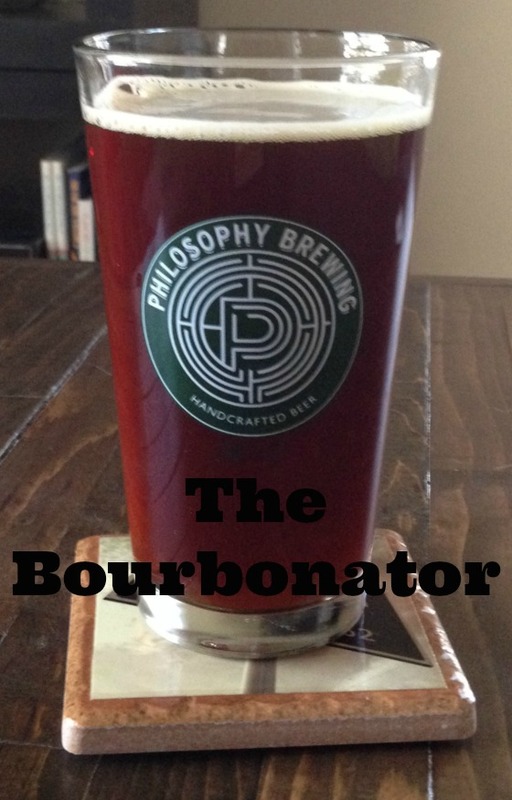 This past weekend, we had our official release of Philosophy Brewing’s Bourbonator. As you may have gleaned from one or two of my posts (or any post under travel really), P and I are into beer. We not only, enjoy seeking out new beers and visiting breweries, but P also makes beer at home. Our home brewery is called Philosophy Brewing and we even have a logo. Once upon a time, way back in 2013, a golden maiden and her bear of a husband took a little journey to the state of the bluegrass to search for the water with fire. They searched high and low, and had great adventures and discovered many varieties of this special water all along the trail holding it’s very name. They brought many bottles back with them to enjoy and share with their friends in the sticky heel state. They also brought back pieces of the barrels the fire water is created in. The bear of a husband thought and thought, what would be the best use of this special wood? I could use it to smoke meat, but that would only feed me for a day and I want more for my hard journey. So, the bear conferred with his friend from the fat tobacco stick establishment and it was decided that the fiery-headed village brewer would have the answer. Thus was the beginning of the Bourbonator. There was also several other dishes contributed by our guests including: bacon bourbon baked beans, BBQ jalapeno poppers wrapped in BACON, chicken wings with homemade blue cheese sauce, dark chocolate breakfast stout cupcakes w/ vanilla bourbon frosting, and spicy crab deviled eggs. Friday-Melina’s Country Ham & Collards Ravioli, with Tabasco butter and a simple spring salad.